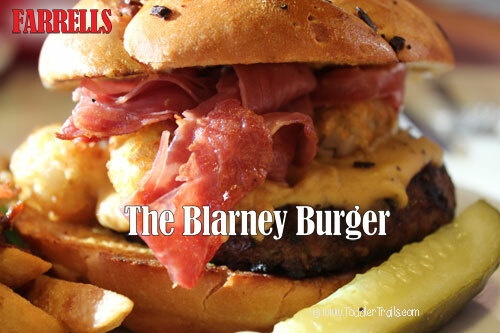 In honor of St. Patrick’s Day, Farrell’s is celebrating in style with the luck of the Irish – a little blarney and a lot of green!! 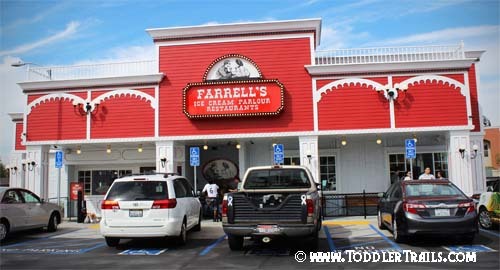 Over the weekend, we were invited to Farrell’s to sample their March menu items: The Blarney Burger and the Pot ‘o Cold Sundae. 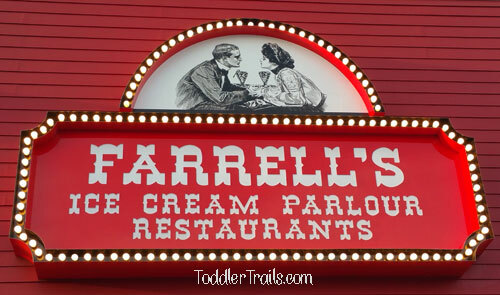 We were quite lucky that my BFF and her family were visiting from Texas, so we decided to celebrate the occasion, Farrell’s style! 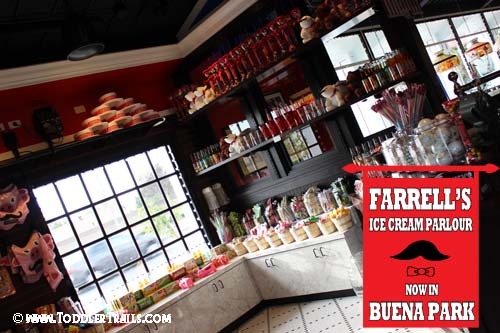 The Farrell’s Ice Cream Franchise has made a huge splash in Southern California. 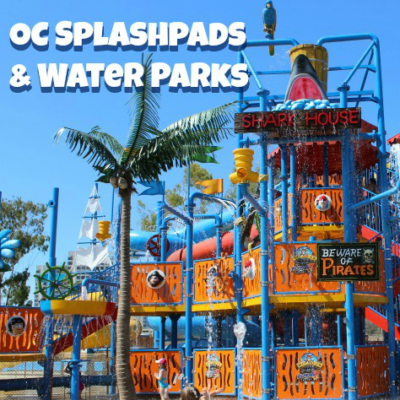 With a focus around ice cream birthday parties, they are quickly becoming one of the go to destinations for celebrating special occasions. Now they are getting creative and introducing new items to their classic American menu with items like the Tater Creator. 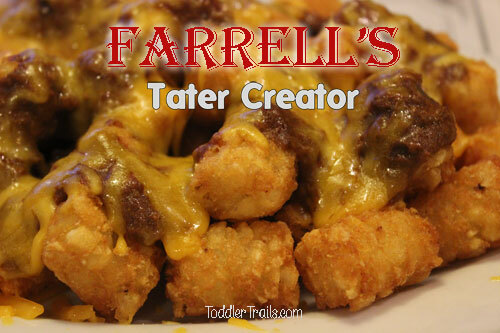 Over the weekend we were invited to indulge in Farrell’s Ice Cream Parlour’s new Tater Creator, turning our side of fries into our very own masterpiece of goodness. The big game is coming!! Are you ready to party and celebrate the BIG GAME on February 1st? I am not a huge football fan because the big bowl game always fell on my birthday when I was growing up. 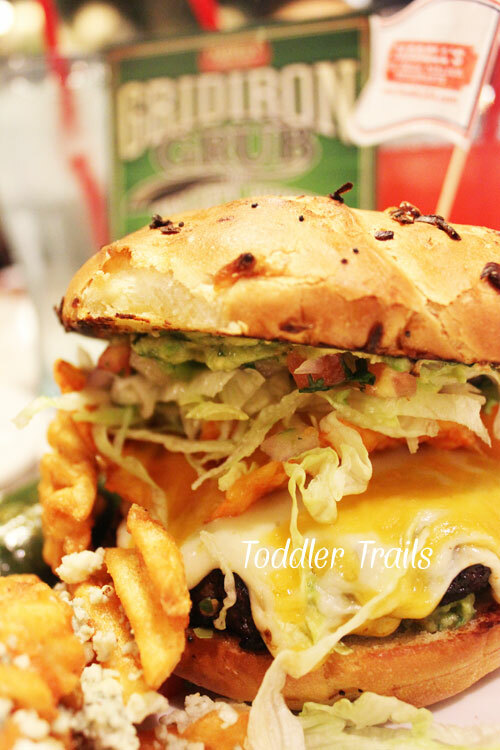 However, I am a fan of Farrell’s and love their specialty burgers. Get ready to get your Gridiron Grub on with their new Tailgate Burger and 4th and Goal Sundae. 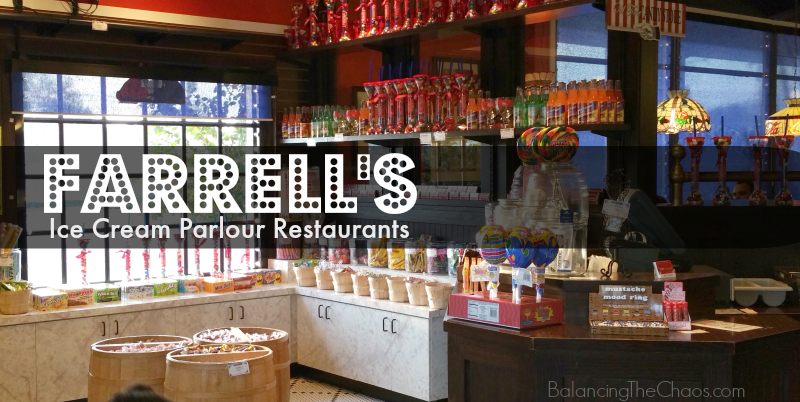 We were invited to sample the new Gridiron Grub menu specials at our local Farrell’s Ice Cream Parlour in Buena Park, and let me tell you, it’s something you’re going to have to taste for yourself.